Many men and women find themselves struggling to get rid of stubborn pockets of unwanted fat. Liposuction is a technique to remove problem deposits of fat from specific areas of the body, face or neck. It can be used to contour the thighs and hips, smooth the abdomen, shape the calves or eliminate a double chin. The newer Vaser ® technique is particularly good for male and female breast reduction. It produces smoother contours and quicker recovery times compared with other types of liposuction. Suction-assisted lipectomy – also known as liposuction, fat suction, or suction lipectomy – is a technique to remove unwanted fat deposits from specific areas of the body, including the chin, neck and cheeks, the upper arms and above the breasts, the abdomen, buttocks, hips, and thighs, and the knees, calves, and ankles. Liposuction is not a substitute for weight reduction, but a method of removing localised fat that doesn’t respond to dieting and exercise. This information has been written to give you the basic facts about liposuction. If you decide you would like to know more about this procedure please make an appointment to see me. Please write down any questions you wish to ask. Vaser® liposelection is one of the most important recent advances in liposuction and body contouring. Ultrasonic energy selectively breaks down unwanted fat while preserving vital tissue. 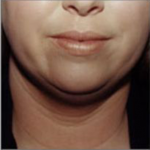 This produces smoother contours and a quicker post-operative recovery, requiring less post-operative medication for pain than other liposuction techniques. The Vaser® technique is primarily used to remove unwanted fatty deposits and is particularly suitable for female and male breast reduction (gynaecomastia) and the removal of breast tissue in odd places, such as the armpit. It works extremely well in people who have fatty deposits in the neck, jowls, back and for short scar tummy tucks or people who have previously had liposuction and need more fat removed. It has also found a place in the treatment of benign fatty tumours, called lipomas, and even excessive armpit sweating (axillary hyperhidrosis), avoiding long scars and other complications related to conventional surgery. Some surgeons in Europe and the United States have used the Vaser® to treat significantly obese patients who are not candidates for conventional weight loss surgery. High volume liposuction (greater than 6 litres) is not without risk, however, and ideally patients who are overweight should be encouraged to lose several kilos and to become fitter before embarking on this type of surgery. Small areas can be operated on under local anaesthetic and intravenous sedation, whereas larger areas are more safely and comfortably done under general anaesthetic. A compression garment is worn after surgery and recovery can be further enhanced by a series of lymphatic massage treatments by therapists trained in the Vodder technique. Liposuction can enhance your appearance and your self-confidence, but it won’t necessarily change your looks to match your ideal. Before you decide to have surgery, think carefully about your expectations and discuss them with me when you come in for your consultation. The best candidates for liposuction are of relatively normal weight but have pockets of excess fat in particular areas. You should be physically healthy, psychologically stable, and realistic in your expectations. Most importantly, you should have firm, elastic skin. (Loose, baggy skin won’t reshape to your body’s new contours, and may require an additional procedure to surgically remove the excess skin. This procedure will leave visible scars). Suction lipectomy is not recommended if you’ve had recent surgery on the spot to be sculpted, if you have poor blood circulation in that area, or if you have heart or lung disease. You should also understand that liposuction itself will not improve the dimpled skin known as cellulite, though some plastic surgeons offer other techniques that may improve this condition. Suction-assisted lipectomy is normally safe, as long as patients are carefully selected, the operating facility is properly equipped, and the surgeon is adequately trained in body contouring as well as plastic surgery. Nevertheless, in rare instances, the procedure may cause severe trauma, particularly when large areas are suctioned at one time. Although serious complications are infrequent, infection or excessive fluid loss can lead to severe illness and even death. Other infrequent, but possible, complications include fluid accumulation (which must be drained) and injury to the skin. You can reduce your risks by following my advice. The scars from liposuction are small and strategically placed to be hidden from view, even in a bikini. However, other cosmetic problems may occur. They may include rippling or bagginess of the skin over the treated area, and pigmentation changes (such as brown spots) that may become permanent if exposed to the sun. 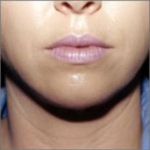 Asymmetry (uneven contour or shape) sometimes requires a second procedure. In your initial consultation, I will evaluate your health, determine where your fat deposits lie, and carefully assess your skin tone. I will explain any alternative body-contouring methods that may be appropriate – such as abdominoplasty, or tummy tuck – and discuss the options or the combination of procedures that would be best for you. Be frank in discussing your expectations. I will be equally frank with you, describing the procedure in detail and explaining its risks and limitations. During this consultation, be sure to tell me about any large weight losses or gains you’ve had at any time. You should also tell me if you smoke, and if you’re taking any medications, vitamins, or other drugs. If you’re having extensive liposuction, it’s a good idea to donate your own blood drawn ahead of time. Your own blood can then be used to help replace the blood and other fluids you’ll lose during surgery. I will give you specific instructions on how to prepare for surgery, including taking or avoiding vitamins, iron tablets, and certain medications. If you develop a cold or an infection of any kind, especially a skin infection, your procedure will have to be postponed. While you’re making preparations, be sure to arrange for someone to drive you home after your surgery and, if needed, to help you out for a day or two. Suction assisted lipectomy may be performed in a surgeon’s purpose built facility, or at a hospital. It’s usually done on a daycase basis, for cost containment and convenience. Extensive procedures may require a hospital stay of one or two days. If your procedure is not too extensive – that is, if no more than one litre of fat and fluid will be removed – liposuction can be performed under local anaesthesia, which numbs the area, combined with a sedative to make you drowsy. You’ll be awake but relaxed, and will feel minimal discomfort. Some surgeons may instead use an epidural block, similar to the anaesthesia used in childbirth. If we do plan to suction a large area, or to treat several sites, you’ll probably have general anaesthesia. In that case, you’ll sleep through the operation. Suction-assisted lipectomy usually takes an hour or two, but the time required may vary considerably – from thirty minutes to several hours, depending on the amount of work you’re having done. To begin the procedure, a small incision, to allow the insertion of a fine hollow tube called a cannula. First a solution of dilute anaesthetic is injected into the fat layers. Then the suction cannula is attached to a machine that creates a strong vacuum. A cannula is then manipulated deep within the fat layers under the skin, breaking up the fat and suctioning it out. Sometimes additional incisions are needed to remove all areas of fat. If you’ve had local anaesthesia, you’ll feel some vibration and friction during the procedure. You may also feel a stinging sensation as the cannula moves closer to the muscle. You’ll lose a lot of fluid along with the fat during liposuction, and it’s crucial that this fluid be replaced to keep your body from going into shock. You’ll be given fluids intravenously, and you may also receive blood transfusions (usually the blood you’ve donated in advance). After surgery, a drainage tube may be inserted beneath your skin for one to three days, to remove any fluid build-up that occurs. A snug elastic dressing, girdle, or body stocking must be worn over the treated area to control swelling and bleeding, and to help your skin shrink to fit your new contour. You may need to wear this garment continuously for two to three weeks, then during the day for a few more weeks. Antibiotics may also be prescribed to prevent infection. Don’t expect to look or feel great right after surgery. At first, you’re going to look much worse than before (you’ll even be heavier for a while, because of the extra fluids you’ve been given). The suctioned areas will be swollen and bruised, and you may feel a burning sensation. The pain can be controlled with prescribed medication, though you may still feel stiff and sore for a few days. You may temporarily lose all feeling in the suctioned area. Don’t worry – it will return. Healing is a gradual process. You should start walking around as soon as possible, to help prevent blood clots from forming in your legs, but to avoid more strenuous activity for two to four weeks. The stitches will be removed in five to ten days, and you should be back at work a week or two after your surgery. A trained lymphatic massage therapist will be recommended to speed up your recovery. While most of the swelling and discolouration will be gone a month or two after surgery, some swelling can remain for six months or more. Follow-up visits will be scheduled to monitor your progress and to see if any additional procedures are needed. If you have any unusual symptoms between visits, for example, heavy bleeding or a sudden increase in pain – or any questions about what you can and cannot do, don’t hesitate to contact myself or my staff. Suction-assisted lipectomy is a highly effective technique for giving you a new body contour with very little scarring. The results should last, providing you eat sensibly and exercise regularly. If you do gain weight, you’ll probably gain it more uniformly throughout your body, not just in the former “bulges”. Most patients are very satisfied with the results of their liposuction – they feel more comfortable in a wide variety of clothes, and more at ease with their bodies. As long as your expectations are realistic, you should be happy with your new shape. If you would like to talk to us about your requirements please do contact us at your convenience. Loose skin, excess fat and lax musclse can sometimes limit your abdominal appearance no matter how many stomach exercises you do. A tummy tuck surgically removes redundant skin and unwanted fat from the abdominal area and may also tighten the muscles of the abdominal wall. The result is a sleeker profile and a tighter, flatter tummy. Abdominoplasty, known more commonly as a “tummy tuck”, is a major surgical procedure to remove excess skin and fat from the middle and lower abdomen and to tighten the muscles of the abdominal wall. The procedure can dramatically reduce the appearance of a protruding abdomen. But bear in mind, it does produce a permanent scar which, depending on the extent of the original problem and the surgery required to correct it, can extend from hip to hip. Patients who intend to lose a lot of weight should postpone the surgery. Also, women who plan future pregnancies should wait, as vertical muscles in the abdomen that are tightened during surgery can separate again during pregnancy If you have scarring from previous abdominal surgery, your doctor may recommend against abdominoplasty or may caution you that scars could be unusually prominent. Previous surgery e.g. gallbladder removal, may affect how the abdominoplasty is done. Abdominoplasty can enhance your appearance and your self-confidence, but it won’t necessarily change your looks to match your ideal, or cause other people to treat you differently. Before you decide to have surgery, think carefully about your expectations and discuss them with your surgeon. Postoperative complications such as infection and blood clots are rare, but can occur. Infection can be treated with drainage and antibiotics, but will prolong your hospital stay. You can minimise the risk of blood clots by moving around as soon after the surgery as possible. During your initial consultation, I will evaluate your health, determine the extent of fat deposits in your abdominal region, and carefully assess your skin tone. Be sure to tell me if you smoke, and if you’re taking any medications, vitamins, or other drugs. Be frank in discussing your expectations with me. I will discuss and offer you alternatives, and the risks and limitations of each. If for example, your fat deposits are limited to the area below the navel, you may require a less complex procedure called a partial abdominoplasty, also known as a mini-tummy tuck, which can often be performed on a daycase basis. You may, on the other hand, benefit more from partial or complete abdominoplasty done in conjunction with liposuction to remove fat deposits from the hips, for a better body contour, or maybe liposuction alone would create the best result. I will work with you to recommend the procedure that is right for you and will come closest to producing the desired body contour. I will give you specific instructions on how to prepare for surgery including taking or avoiding certain vitamins and medications. Avoid overexposure to the sun before surgery, especially to your abdomen, and do not go on a stringent diet, as both can inhibit your ability to heal. If you develop a cold or infection of any kind, your surgery will probably be postponed. You should arrange for someone to drive you home after your surgery, and to help you out after you leave the hospital, if needed. Abdominoplasty is generally done in a hospital, as an inpatient procedure. The surgery itself usually takes three to four hours, but may take longer in some cases. You can expect to remain in the hospital for up to five days. Abdominoplasty is nearly always performed under general anaesthesia. You’ll be asleep through the entire operation. Complete abdominoplasty usually takes three to four hours, depending on the extent of work required. Partial abdominoplasty may take an hour or two. Most commonly, a long incision will be made from hipbone to hipbone, just above the pubic area. A circular incision is made to free the navel from surrounding tissue. With partial abdominoplasty, the incision is much shorter and the navel may not be moved, although it may be stretched as the skin is tightened and stitched. The skin from the abdominal wall is then separated all the way up to your ribs and a large skin flap is lifted to reveal the vertical muscles in your abdomen. These muscles are tightened by pulling them close together and stitching them into their new position. This provides a firmer abdominal wall and narrows the waistline. The skin flap is then stretched down and the extra skin is removed. A new hole is cut for your navel which is then stitched in place. Finally, the incisions will be stitched, dressings will be applied, and a temporary tube may be inserted to drain excess fluid from the surgical site for a few days. For the first few days, your abdomen will probably be swollen and you’re likely to feel some pain and discomfort which can be controlled by medication. Depending on the extent of the surgery, you may be discharged within a few hours or you may have to remain hospitalised for up to three days. Dissolving stitches are generally used. Occasionally the skin stitches around the umbilicus will need to be removed at 8 – 10 days. The dressing on your incision may be replaced by a support garment. And though you may not be able to stand straight at first, you should start walking as soon as possible. Massage is highly recommended to improve lymphatic drainage, lessen swelling and reduce discomfort. Your scar may actually appear to worsen during the first three to six months as they heal, but this is normal. Expect it to take nine months to a year before your scars flatten out and lighten in colour. While they’ll never disappear completely, abdominal scars will not show under most clothing, even under bathing suits. Brachiaplasty is a surgical procedure to remove excess skin and fat from the upper arms. This surgery can help those who have been left with excess skin following weight loss through diet and exercise, or following successful weight loss surgery. Surgery is not a weight loss treatment. If you plan to do lose more weight, then it is advisable to do so before having a Brachiaplasty. The results of Brachiaplasty can be long lasting, providing you maintain a healthy weight. Armlift surgery is usually performed under a general anaesthetic and you may need to stay in hospital one night. You will also need to plan time off work so that you can relax and recover at home. Your surgeon will make appropriate incisions on the inner/under surfaces of your arm between your elbow and armpit. Excess skin and fat are removed and the remaining skin is stretched and stitched back together. There will be some visible scarring and this will be discussed with you before your operation. Following surgery you may have drainage tubes in your arms that are in place to drain away any excess fluid. These are removed before you are discharged home. You will have wound dressings and a supportive compression garment in place. Mr Lofts will advise you as to how long you will be required to wear your supportive compression garment and whether it is to be worn day and night. At your post-operative follow-up appointment your surgeon will assess your progress and give advice on when you can resume your normal activities. After a Brachiaplasty you are likely to have some discomfort, swelling, bruising, and pain or tenderness in your arms. These are temporary and should subside after the first few weeks. You will be left with visible scars following your surgery. Initially they will be red and slightly raised, but they will gradually soften and fade over time.